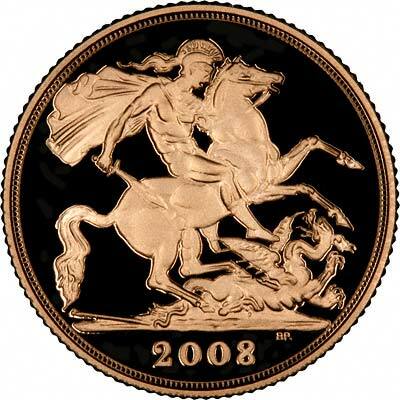 This year's - 2008 - sovereigns and half sovereigns have the familiar and historic St. George and Dragon reverse, although we still have stocks of the 2007 issue. 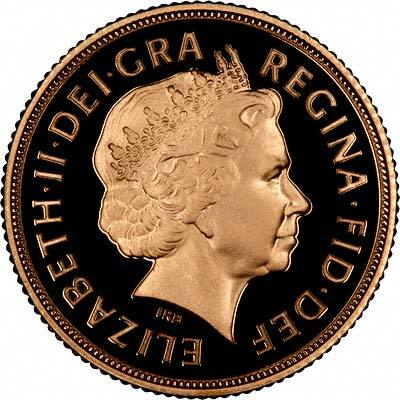 It appears that the reverse dies for sovereigns, half sovereigns, double sovereigns and quintuple sovereigns were remastered and recut in 2007. 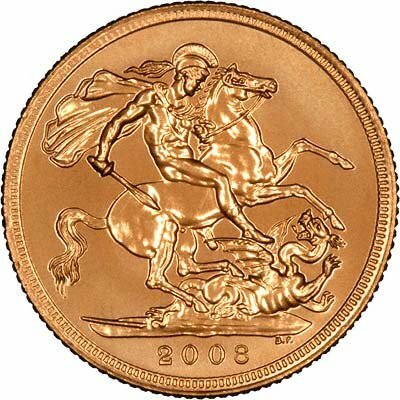 See our 2007 sovereigns page of our Gold Sovereigns website for more information. 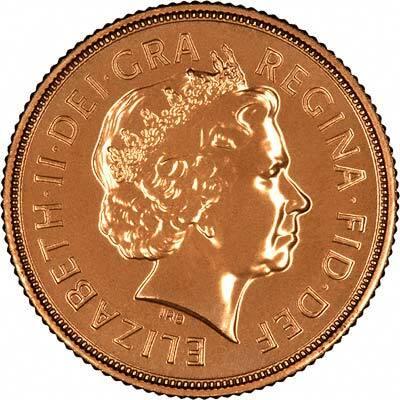 The 2008 designs are expected to be similar. 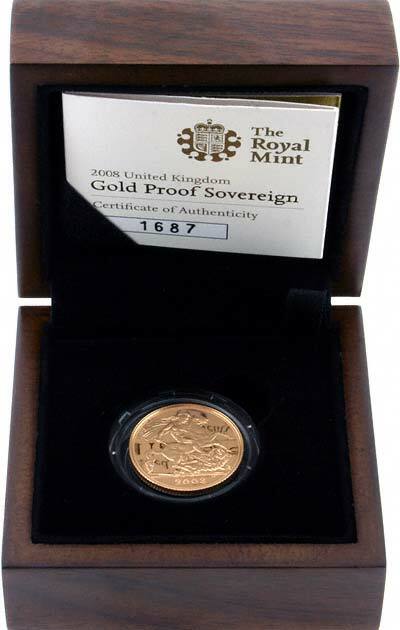 The issue limit for the uncirculated sovereign is only 75,000. The issue limit for the proof sovereign is 12,500.